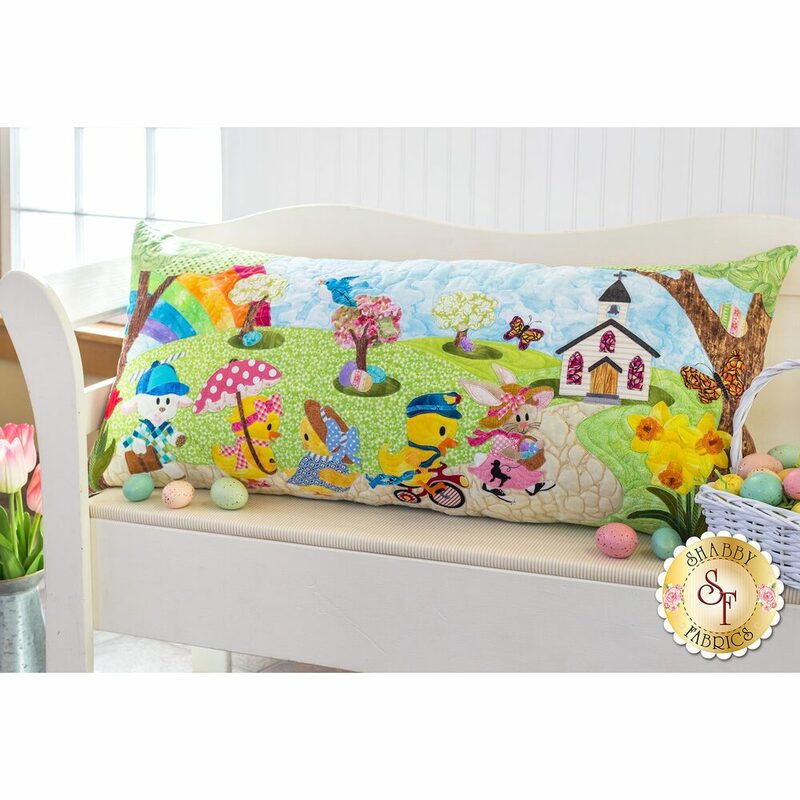 Designed right here at Shabby Fabrics, the Easter Sunday Pillow will give a joyful and eggstra-special touch to your home this spring. 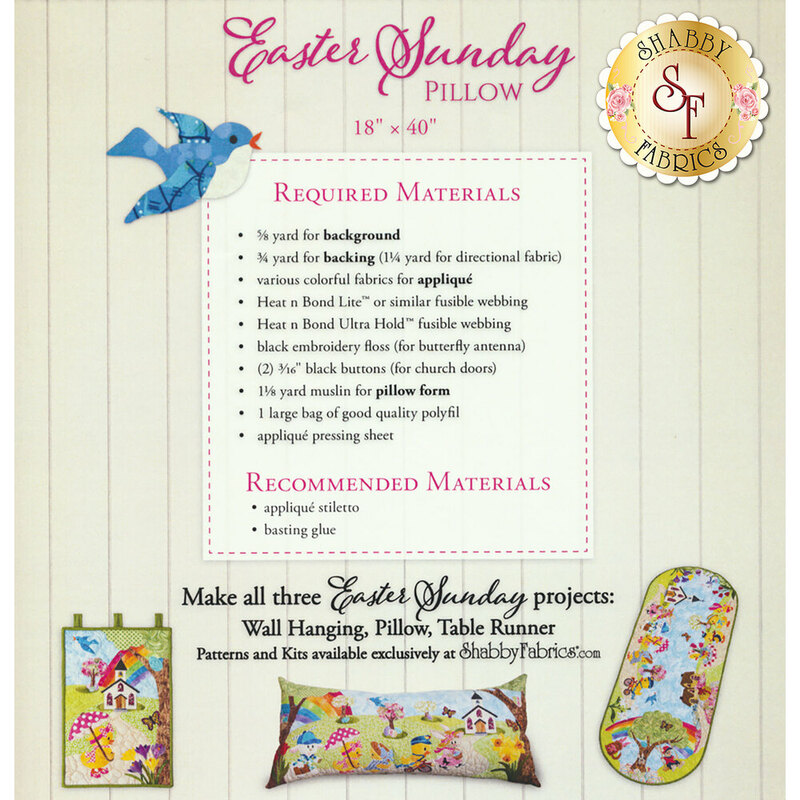 To coordinate your entire home, you can also make the Easter Sunday Wall Hanging and Table Runner. This pillow is BIG and measures approximately 18" x 40".